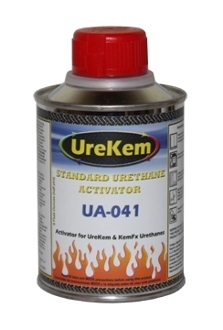 UreKem UA Series Activator Half Pints - Buy Custom Paint For Your Automobile Or Motorcycle At Discount Prices! This listing is for a half pint of UA-41 activator. This activator is used to activate UreKem urethane finishes. Note: This item listing is for customers whom have lost, damaged, or spilled their activator. We sell all out 2K products in kit form so there is no need to purchase an activator separately unless you have had one of the above happen or you want to activate our KemBase product.